She snuck out of the castle in order to find a way for her to return back to her world… but she was immediately found and confined. However, Hanbee and Kanbee, who learned of her circumstances, took action. 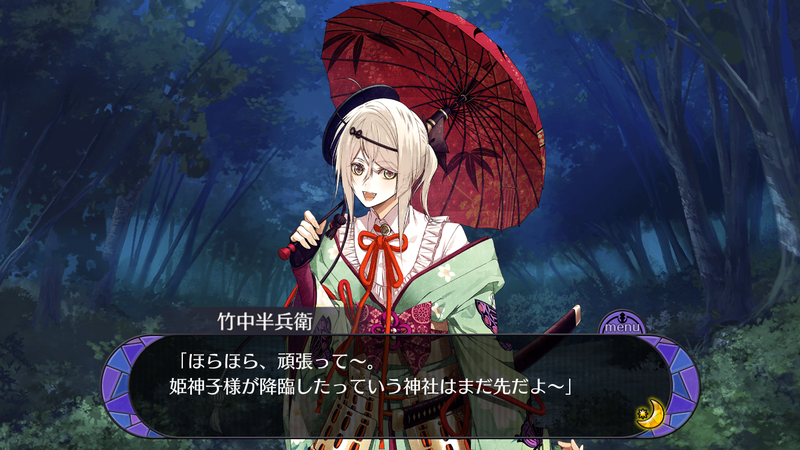 This entry was posted in Collaboration, Otome Games, Sengoku Night Blood and tagged Kadokawa, Marvelous!, Mobile, Oosaka Ryouta, Otomate, Shimazaki Nobunaga, Takeuchi Shunsuke.